Various pundits assert that the major reason for higher electricity bills in Ontario is the addition of renewable energy to the province’s electricity mix. This is a myth. At the Canadian Wind Energy Association, we’ve discussed the real reasons for Ontario’s bill increases, both in blogs and in studies on our website. Recently, other electricity sector commentators such as University of Waterloo’s Jatin Nathwani and Environmental Defence’s Keith Brooks have come forward to present the facts. According to a January 2017 study by Environmental Defence, the average Ontario household pays about $11 per month for wind power – about six per cent of their electricity bill. The biggest components of the bill are delivery (31 per cent), nuclear-generated electricity (24 per cent), HST (12 per cent), natural gas generation (8 per cent), and hydro-electric power (7 per cent). 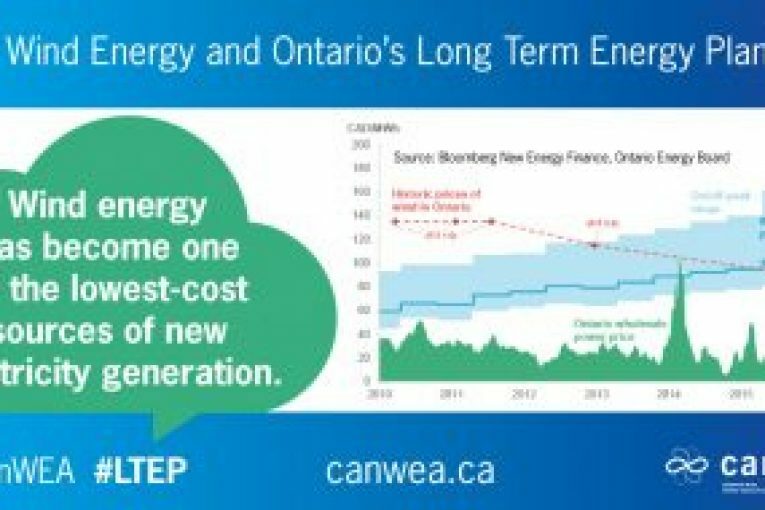 It’s true that Ontario’s wind energy industry was initially developed with contracts paying above average generation costs. It’s equally true, however, that wind energy costs have declined to the point where new wind energy is one of the most economical forms of energy available to Ontario today. So bills have risen, but as Professor Nathwani says, the power system has also greatly improved. We no longer worry about brownouts, even on the hottest days. We have a much cleaner electricity system, with much better air quality and an 80 per cent reduction in greenhouse gases. Ontario is also in a good position to use its low-carbon surplus electricity capacity to de-carbonize other segments of its economy, such as transportation and buildings. Wind energy has contributed to each of these positive outcomes. Plus, as Keith Brooks notes, Ontario now has a growing clean-tech wind energy sector that benefits its economy and employment while also benefitting rural landowners and communities. But let’s get back to price. Electricity generation in Ontario in 2016 averaged 11.14 cents per kilowatt hour. The most recent procurement of wind energy resulted in an average price of 8.45 cents with one project coming in at 6.45 cents. Hydro-electric power is clean and low cost, but there are few economic sites left to develop. Power from a refurbished Darlington Nuclear station will reportedly increase from 5.9 cents in 2016 to 16.8 cents by 2026. Meanwhile, the cost of electricity from natural gas is also poised to increase significantly over time. For example, the commodity price of natural gas increased from 11.6 cents per cubic metre in October 2016 to 16.0 cents in January 2017 as the province levied its initial carbon price on gas. Recently, Ontario announced a plan to lower electricity bills. Wind energy is a relatively small contributor to current bills. More importantly, as wind energy costs continue to fall, non-emitting wind power will be the best option going forward to keeping electricity affordable in Ontario.